Says Kaufmann, "We weren't looking to be acquired", but after being approached by Asmodee at the start of 2014 and following several months of discussion, both internally and between the companies, Days of Wonder CEO Eric Hautemont, Kaufmann, and others who are part of the DoW management team decided that they believed in Asmodee's long-term plans and decided to make a deal. To provide more background on the deal, Asmodee itself was acquired in January 2014 by the European investment company Eurazeo. More specifically, Eurazeo bought 83.5% of Asmodee through an equity investment of €98 million while Asmodee's management team and founders reinvested €14 million of their own. When the deal was first announced on November 12, 2013, Asmodee had an enterprise value of €143 million. Going forward, the plan is to keep Days of Wonder a separate studio within the Asmodee Group, with the company continuing to develop and publish a limited number of titles each year. Kaufmann says that he and Hautemont will still be with Days of Wonder for an unspecified length of time. "It's difficult to know how long the transition will take," says Kaufmann. "We built this and care about it, and how we integrate everything with them from sales to manufacturing will take time." 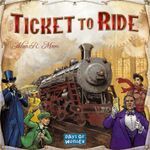 The number one concern is making sure that supplies of Ticket to Ride are sufficient to carry through the fourth quarter of 2014. After all, Days of Wonder has sold more than five million non-digital games since its founding in 2002, and more than two million of those are Ticket to Ride. Kaufmann says that Adrien Martinot, who heads Days of Wonder's European division, will head up the DoW studio within the Asmodee Group. 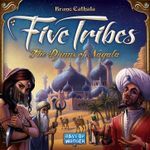 As for what this might foretell of future DoW releases, Kaufmann notes that Martinot was in charge of developing Bruno Cathala's Five Tribes and pushing it within the company, despite the game being more involved and thinky than a typical DoW release. The press release notes that through this purchase, Asmodee "also increases its exposure to the U.S. game market and will benefit from Days of Wonder's digital games development expertise." Kaufmann says that Asmodee really values DoW's internal digital team, and this team will likely expand in the future. "We're satisfied and happy with what we've done," says Kaufmann. "We weren't looking for somebody, but this is an opportunity for us. We made sense from [Asmodee's] perspective as distribution is in their DNA, especially when you look at something like Jungle Speed and their broader sales to toy stores, as they have been able to help some other companies get broader distribution. We'll still be doing games that fit with our mission, and will be branded that way."